The increasing incidences of violence at rallies for Republican presidential candidate Donald Trump are unambiguously incited by Trump’s own rancid rhetoric and open encouragement of hostility. No one can reasonably deny that Trump’s vocal approval of punching protesters in the face or carrying them out on stretchers doesn’t have an effect on his already enraged minions. Nevertheless, the Trump Defense League is in full denial mode as they seek to absolve their Dear Leader of any responsibility for the ruckus that occurs only where Trump treads. They argue that the protesters are a conspiratorial lot that have been assembled by leftist overlords for the purpose of destroying The Donald’s crusade to make America hate again. 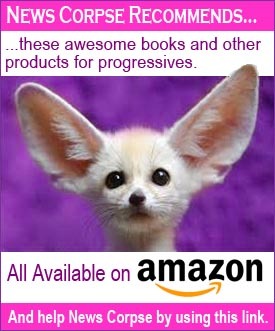 What almost all of these critics added to their harangues was that MoveOn is not just some obscure band of subversives. No, it is a cog in an evil plot managed by a notorious super-villain. And fortunately they have one with an unsettling Hungarian accent and a few billion dollars to finance his dastardly schemes. That’s right, it’s George Soros and he’s back. Whenever the right needs to manufacture a nebulous and all-consuming dread, it trots out the specter of Soros. In the ensuing frenzy of indictments of MoveOn as the right’s imaginary architect of acrimony, virtually every conservative media reference to them is prepended with the Soros label. If you didn’t know better you might come away thinking that the full, official name of the activist organization is “the Soros-funded MoveOn.org.” However, that’s an indicator of just how obsessed the right is with dangling Soros’ name to frighten their dimwitted throngs. Because if any of them were interested in reality they could easily look up the facts and discover that, while Soros did make sizable donations to MoveOn in the past (about $2.5 million), he has not done so since 2004. Apparently twelve years is not enough time for conservatives at Fox News and elsewhere to retire the “Soros-funded” branding. As another example of the right’s fetish, the wingnut rag, Daily Caller (which is run by Fox’s Tucker Carlson) posted a bombshell exclusive that heralded their discovery that a Soros “associate” had contributed $200,000 to Gov. John Kasich’s presidential super PAC. That article was intended by the uber-rightist Daily Caller to stigmatize the comparatively moderate Kasich as the left’s favorite Republican. However, the Soros associate identified in the piece was Scott Bessent, a longtime Republican donor who has given hundreds of thousands of dollars to GOP candidates, PACs, and party committees. His donation to Kasich’s campaign was from personal funds and had nothing to do with George Soros. But that didn’t stop much of the wingnut mediasphere from blasting out headlines about Soros bankrolling Kasich. This is emblematic of the mindset of the right that needs cartoonish demons to invoke the horror of an amorphous liberal threat. They need to be frightened into mobilizing against a monstrous enemy that will thrust the world into chaos and oblivion. How many times have you heard the right swear that Obama’s election, or reelection, or ObamaCare, or Climate Change mitigation, or immigration, or [fill in the scary blank], would doom America and the world to extinction? So rather than recognize the glaring evidence of Trump’s incitation to riot, right-wingers point their bony fingers to George Soros, or Saul Alinsky, or ACORN, or Barack Obama, or the armies of gay-married, Muslims on food stamps who are coming for your guns and fossil fuels. Be AFRAID! 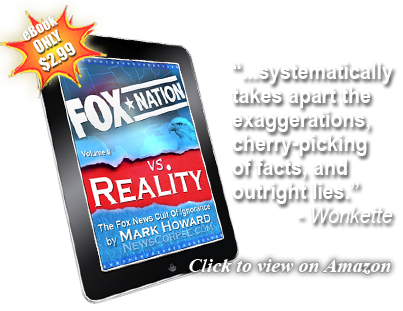 Not to be left out, the Fox News community website, Fox Nation, joined in with a post linked to the “Moonie” Washington Times that feverishly proclaimed “Moveon.Org Raising Funds from Trump Protests, Warns More Disruptions to Come.” The article alleges a frightful conspiracy that is really nothing more than the standard fundraising of a non-profit group that is asking for three bucks to continue their public service activities. There is nothing in it that even remotely implies advocating any form of physical harm to persons or property. To the contrary, MoveOn is, and always has been, committed to peaceful dissent. And their current anti-Trump campaign is no different. 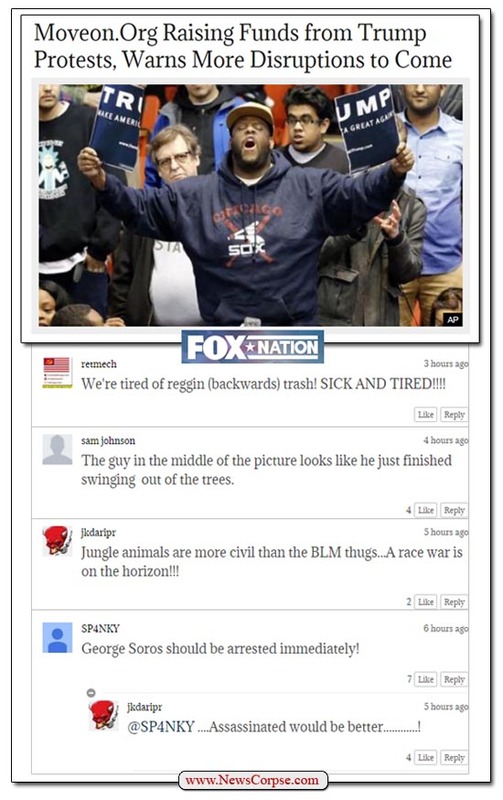 Contrast that with the Fox Nation audience that has once again demonstrated their vile racism and embrace of volence (see The Collected Hate Speech Of The Fox News Community). And then Jeffrey Lord has the gall to call MoveOn the new Ku Klux Klan, which of course gives yet another pass to the Do-Nazi and his thugs. Amazing, isn’t it? HA HA HA HA HEE HEE HEE !!!!!! Shall we talk about Ben Stein? Stein: I have not heard a racist word out of [Donald Trump’s] mouth. . . . I think people should be listening to him. He’s not a ranting, blubbering fool. He’s making a lot of sense, and I don’t see what’s anti-democratic about him. Got about five minutes, Ben? Or do you just need to find out what happened to your hearing aids? Soros tends to be the right wing cult’s false-equivalent of the fascist koch brothers. HAA HAA HAA HOO HOO HEE HEE HEE!!!!! !,this is so awesome!!!! Moveon admitted they were the heart of Chicago protests. Aren’t They funded by Soros? Did you even bother to read this article?